HP announced that it is restructuring so that its printer is mixed with its PC division and this could mean some significant changes for HP’s channel partners. Every since HP bought Compaq the two sides of the company have been operating as separate empires. While the PC division has been making money, the margins on the products have been shrinking and HP was even considering spinning it off. Meanwhile the printer division, which has been HP’s bread and butter, has been making a living selling cheap printers and clawing the money back by selling printer ink which is more expensive than gold. CEO Meg Whitman has been hinting that she can’t see why the two parts of HP are in separate divisions. She is going to give printing division chief Vyomesh Joshi his marching orders and appoint PC chief Todd Bradley head up the combined unit. Normally such a suit suffering would only be of interest to those within the organisation, but Whitman has hinted that she wants to make it easier for customers to buy the two products together, and to reinvest any savings into research and development. The R&D comment is mostly for the shareholders, who want to see HP come up with some new products to return it to its former glory, but a duel printer and PC unit will mean that HP will start offering more printer and PC deals. On the business front it could mean network packages where free printers are factored into the over all deal. 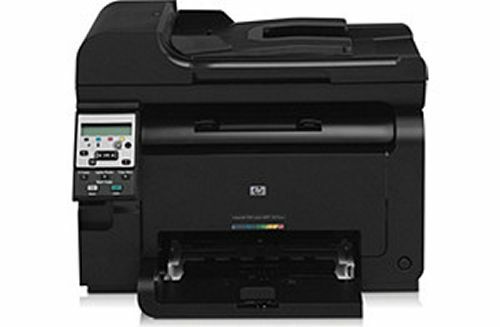 On the lowest level could be anything like buy 10 PCs and HP will give you a free printer package to go with them. But it could also see HP suggesting complete office packages to be resold. We can also expect the consumer market to be offered more unified printer and PC packages. At the moment these have involved payment for the printer, probably because that is a different division within HP. But with them all under the one roof, Todd Bradley could decide to offer a printer with each PC package confident that he would claw the money back on printing ink. Either way, what we should be seeing is a more aggressive marketing from HP to push for unified hardware packages which would have seemed like suicide when the two divisions were separate, but make sense now that they are together. Packages could include things like services, storage, cloud business operations, outsourcing and help desks. Under Leo Apotheker, who wanted to turn the company into a business software company, HP started to develop its software arms. While these were not ready to go when he was given the boot, they should be starting to turn out products by the time the restructuring is finished. This leaves the way open for channel partners to sell such one-stop-shops to corporations. The ability to carry out joint operations might have been the reason why Whitman decided not to spin off the PC division. It would have been next to near impossible to present an enterprise with a one-stop-shop without hardware being a component. Such a restructuring will be tricky for Bradley to pull off. At the moment both arms of HP have different business plans and models. It would be easier to see them as two companies. It will take them time to start working together to produce the sorts of products the channel can get behind.